We still need to wait until the first Black Friday deals on DeWalt power tools for 2019 appear. Of course we will be updating this page with all the deals we can find again this year so be sure to check back regularity for the latest news. Until then, you can scroll down the page to check out the details from last year’s Black Friday sales to get an idea of what’s likely to come. And don’t forget to signup to our email newsletter to stay up to date with this year’s hottest Black Friday deals. Good luck and enjoy! As expected, it seems like Home Depot has the most Black Friday deals on DeWalt power tools this year. They are all spread throughout their 36-page ad so be sure to take a look and see what’s coming (see the highlights below!). On November 8th, Lowe’s sent us an email with some of their early Black Friday deals. In it they are advertising up to 40% off select DeWalt power tools and power tool accessories. You can take a look at the items offered at lowes.com. The email we received is posted below for your reference. You can take a look at Lowe’s complete Black Friday ad for 2018 for the rest of their deals this year. Impact driver kit on sale for $99.98. It includes the driver, battery, charger and bag. Drill/driver kit also on sale for $99.98. It includes the drill, battery, charger and bag. Battery adaptor kit on sale for $119.00. 2-pack 18-volt batteries on sale for $99.99. On page 2 of True Value’s Black Friday ad this year you’ll find a brushless drill-driver on sale for $99.99. It includes two 20-volt lithium-ion batteries, a charger, and a contractors bag to store it all in. The sale goes live on Monday, November 19, 2018. You’ll find a number of deals at Amazon’s Black Friday sale this year. Whichever DeWalt tools you decide on, it’s worth comparing the sale prices to those available right now at Amazon. We’ll be updating this page with more Dewalt tool deals as we come across them so be sure to check back between now and Thanksgiving for the latest updates. Good luck and happy bargain hunting this year! What new DeWalt tools are you planning on buying this Black Friday weekend? Already know which store you’ll be shopping at? Then be sure to let us know in the comments section (the comments are located at the bottom of this page). Updated on Thursday, November 23, 2017: If a new DeWalt drill is on your Black Friday shopping list, then you’ll have plenty of deals to choose from starting now and running through Thanksgiving weekend. 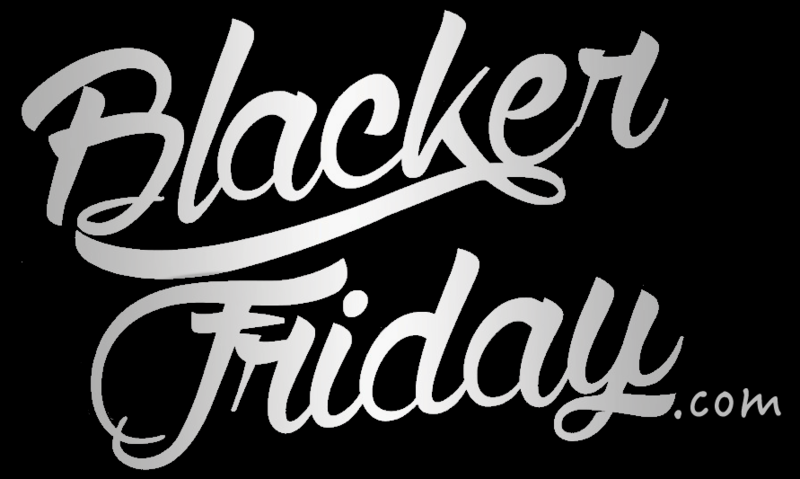 And of course we are tracking them all for here right here on Blacker Friday. Lowe’s: There’s no other brand mentioned more in Lowe’s Black Friday ad this year than DeWalt. You’ll find more than a page of deals scatted throughout it — Check them all out below. The sale begins on Thanksgiving day on their site and in stores on Black Friday (all stores open at 6:00AM). — DeWalt 20V Lithium-Ion Brushless Compact Drill Driver on sale for $99.99. It includes the driver itself, two batteries, a charger, and a heavy-duty bag to hold it all in. — DeWalt 108 Mechanics Tool Set on sale for $64.99 (that’s 30% off the regular price). It includes both standard and metric sockets and ratchets. — DeWalt USB Charging Tool Backpack on sale for $49.99 (that’s 25% off the regular price). There’s nothing worse that running out of power on the job. But with DeWalt’s charging backpack you’ll be able to charge up to two devices via USB ports. It also has 20 multi-use pockets to store all your tools, bits, nails, etc. Battery sold separately. Home Depot: Home Depot had by far the most Dewalt power tools featured in their Black Friday ad than all the others that we’ve come across. You can check out all of the offers below! The sale starts at 6:00AM on Thursday, Thanksgiving day (Nov. 23rd) on their website (free shipping included to all U.S. addresses). In stores the sale begins at 6:00AM on Black Friday (that’s Nov. 24th). ACE Hardware: This year ACE Hardware is featuring the DeWalt 20-volt drill/impact drive kit for $149.99 in their Black Friday ad when you pick it up with your ACE Rewards card (this kit is an ACE exclusive!). It also comes with a free bonus bit set. A few other DeWalt products are in their ad as well… find the 30’ laser tape measure on sale for $19.99 (normally $29.99) and 64-piece drill bit set with bag on sale for $14.99 (normally $34.99). All offers valid from November 15–27, 2017 or while supplies last. Tractor Supply Company: Even though Tractor Supply Co.’s Black Friday ad is short this year, they’ve managed to squeeze in three different offers on DeWalt tools. The sale starts on their website on Thanksgiving Day (Nov. 23) and in-stores at 6:00AM on Black Friday (Nov. 24). Mills Fleet Farm: You’ll find half a page of deals on DeWalt tools in Mills Fleet Farm’s Black Friday ad. Check it out below! Offer valid starting at 6:00AM in-stores on Black Friday (Nov. 24, 2017). Some of these tool bundles will likely sell out quickly — Available while supplies last. Blain’s Farm & Fleet: There’s half a page of DeWalt tool deals this year in Blain’s Farm & Fleet’s Black Friday ad. Check out the highlights below! The sale begins in stores on Black Friday, November 24th, at 6:00AM in morning. Offers end on Sunday, November 26th, 2017, or while supplies last. Acme Tools: Nearly the entire first page of Acme Tool’s Black Friday ad this year features DeWalt tools. You can check out all the highlighted deals below. Acme Tools begins their sale on Black Friday and ends it on on Cyber Monday, while supplies last (that’s Nov. 24—27, 2017). Some exclusions will apply. Sears: Obviously Sears is mostly pushing their Craftsman branded products, but on page 41 of their Black Friday ad you’ll find two featured deals on Dewalt power tools. The first is the 20-volt max compact brushless drill/driver kit on sale for $99.99 (that’s $50.00 off). It includes the drill, two batteries, a charger, and bag. The second option is the drill and impact driver kit on sale for $149.99 (also $50.00 off). It includes the drill, an impact driver, two batteries, a charger, and bag. The sale price is valid from 6:00PM on Thursday, Thanksgiving day, through Friday at 2:00PM (Nov 23—24, 2017). Available while supplies last. Navy Exchange: The entire stock of hand tools at Navy Exchange will be 25% off this Black Friday (see their ad for details). Among them, you’ll be able to pick up the Dewalt 20v Max Brushless Li-ion drill kit on sale for $99.99. Offer valid Thursday, Thanksgiving day through Saturday (Nov. 23—25, 2017) or while supplies last. Stores closed on Thanksgiving day but will be open on Black Friday at 5:00AM. Just keep in mind that similar to AAFES, only active-duty military, reserve, and National Guard employees will be able to shop at NEX. Lowe’s: The Black Friday 2017 deals on DeWalt tools from Lowe’s are not yet available. However, last year select tools were up to 50% off. That included the 2-piece 20-volt MAX Lithium Ion Cordless Combo Kit with soft case on sale for $149 and the 20-volt 1/2-inch drill/driver tithe 2 batteries, charger, and case for just $99. They also had an offer where you could get a free heavy-duty miter saw stand with purchase of a compound miter saw (a $199 value! ).